Graphics processing units have massive parallel processing capabilities, and there is a growing interest in utilizing them for generic computing. One area of interest is computationally heavy computer vision algorithms, such as face detection and recognition. Face detection is used in a variety of applications, for example the autofocus on cameras, face and emotion recognition, and access control. In this thesis, the face detection algorithm was accelerated with GPU using OpenCL. The goal was to gain performance benefit while keeping the implementations functionally equivalent. The OpenCL version was based on optimized reference implementation. The possibilities and challenges in accelerating different parts of the algorithm were studied. The reference and the accelerated implementations are depicted in detail, and performance is compared. The performance was evaluated by runtimes with three sets of four different sized images, and three additional images presenting special cases. The tests were run with two differently set-up computers. From the results, it can be seen that face detection is well suited for GPU acceleration; that is the algorithm is well parallelizable and can utilize efficient texture processing hardware. 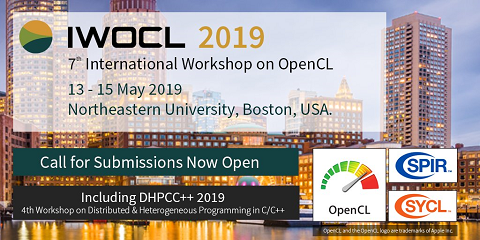 There are delays related in initializing the OpenCL platform which mitigate the benefit to some degree. The accelerated implementation was found to deliver equal or lower performance when there was little computation; that is the image was small or easily analyzed. With bigger and more complex images, the accelerated implementation delivered good performance compared to reference implementation. In future work, there should be some method of mitigating delays introduced by the OpenCL initialization. This work will have interest in the future when OpenCL acceleration becomes available on mobile phones.